We have scoured all our top charities and found a fundraising idea for every month of the year. These fundraising ideas are run every year, so even if you have missed the month why not do it next year? Christmas has passed, the New Year has been toasted and now it’s time to rein in the indulgences. So, whilst you start a new year with a weight loss goal, a fitness goal and good will to all men, why not also go dry? Being sponsored to be a dryathlete in January is all about increasing your health benefits by reducing your alcohol. All at the same time raising money for Cancer Research. Don’t want to give up that relaxing glass of red wine at the end of the week? RED has just completed its third year fundraising, and in 2018 they raised just over three quarters of a million pounds for Mind. RED January stands for Run Every Day January and encourages people to raise money whilst being active every single one of the days in January. This includes any thing from running every day to walks around the block, gym sessions, ice skating or anything else as long as you’re active. Money is raised for the mental health charity with exercise being a known benefit to a positive and healthy mental health. Launched in 2016, the fundraising drive to be sugar free in February is to help promote good health in everyone whilst fundraising. Cancer Research shows that being sugar free unfortunately will not cure nor avoid cancer. However, research shows that cancer feeds on glucose for energy, so a sugar-controlled diet will only help us in preventing the effects of cancer and the healthier we are the more we can fight this horrible disease. Like most month-long charity events there are considerable health benefits to giving up sugar from your teeth, heart, waist and even hair. So whilst you continue your health kick you are also raising much needed funds for a worthy cause. If you couldn’t give up all sugar in February, why not just give up chocolate in March. 2018 is the perfect year to give up in March as you are ready for a big haul of eggs that can be eaten just one day after Easter. The British Heart Foundation challenges you to raise money to help it carry out vital lifesaving research into our hearts. This fundraising idea not only saves your waist, your pocket and lives but its also a bit easier to follow than Sugar Free. To raise money for this worthy cause there isn’t an actual challenge in April and it seems there is no clever play on words for any fundraising ideas. However, for the entire month of April you are given access to 100's of ways to raise money for Autism. From fancy dress to cake sales – you don’t need to give anything up, just do a little more. This month is more famous for their ribbon which, unlike single colour ribbons, includes not only 5 colours but also a puzzle piece design to promote autism awareness, inclusion and self-determination. 2018 sees the year of the silly sock innitative so whether your want to don your brighttest pair, your craziest pair or you Christmas pair. You can take part wherever you are on the 27th April. Did you know that 15 babies a day die from Stillbirth and Neonatal Death? Well the entire month of June is dedicated to SANDS to raise money to start a conversation and awareness of this issue and to also raise money to carry out research to solve the problem. You can raise money in any way that takes your fancy, but their famous initiative is Walk a Mile in my Shoes. Very simply they suggest that whether you walk a mile in memory, with friends or just on your own. You take the time to walk a mile to support this worthy charity. Like all fundraising ideas the twist is that everyone is unique and individual, so this walk so be unique to you. Whether you are a mens football team doing it in high heels or the ladies team doing it in slippers. It is your mile to walk your way. My Favourite Voucher Codes is based in the West Country (Bath) and neighboured Bristol which has become famous for its charity Aardman Trails. With the first Gromit trail in 2013, which was followed by Shaun the Sheep in 2015. Now 2018 see’s not only the return of Gromit but also of Wallace and their arch nemesis Feathers McGraw. Bath is also holding its own trail and this year it is the Minerva Owl trail. The city will see it home 100 Owls and Owlets sponsored by local businesses, to raise money for local charities such as the RUH, Carers Centre and Little Owl Project. So here is hoping that July is full of good weather for you to trawl around the West Country hunting for dogs, penguins (dressed as chickens), owls and much more. All in the name of Fundraising Ideas and Charities. Not quite as popular as male led initiatives later in the year but 2018 is set to relaunch Armpits for August. Simply women are encouraged to leave their under-arm hair to grow throughout August to raise funds and awareness for two worthy causes. Firstly, raising the awareness for women with Polycystic Ovaries was the original starting point of this fundraising idea. But now it goes on to include trans women awareness. 10% of women are affected by polycystic ovaries and this is even more prevalent amongst trans. But we are not talking about it. This controversial initiative is to raise the awareness, debate and to have people talking about something that effects so many women all over the world. The weather changes and our fundraising ideas are back to healthy initiatives for charity. Steptember for Scope encourages people to commit to 10,000 steps every day in September to raise money for Disabled Charities Scope and for Cerebral Palsy (in Australia). Like earlier in the year, you can gain your steps running, walking or swimming – however you like. What is important is that you raise much needed funds and raise awareness for physical disabilities. Scope ran this campaign in 2015 and although it hasn’t continued every year they have lots of information on their website for raising money for their cause. The NHS carries out an annual Stoptober for quitting smoking in October, but this is not a charity fundraising idea. However, Sober for October is and supports UK charity Macmillan Cancer Support. This wonderful charity offers support to cancer patients and their families as well as supporting research and awareness. It is not long till Christmas so maybe it’s a good time to give up the alcohol again in time for the festive season. So far, the fundraising idea has raised over 5 million pounds – all of which is going to fight this awful disease. Did you know, men on average die up to 6 years before women due to preventable diseases and illness. ?The Movember Foundation has been launched it's fundraising ideas to help tackle all men’s health issue and reduce men dying too young. The most famous is growing a Moustache in November and it started before mens facial hair was in. From international rugby players to teachers, men donned a month of facial hair in order to raise money for all of Men’s health. Even women can get involved by drawing on a moustache, wearing a fake beard or simply adding a pound to the pot. One of our team (she remains nameless) donates each year for her husband not to have a moustache. Every half an hour a person in the UK dies of bowel cancer and this charity fundraising idea comes at the most crucial time of the year. 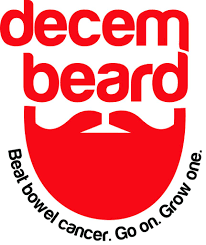 Men are encouraged to ditch the razor for another month to raise money for this worthy cause. This cause has contributed to a life saving program in the UK where all 55+ adults can be tested for Bowel Cancer saving 1,000’s of lives. Similar to Movember you simply need ditch the razor, wear a fake beard or contribute some pennies – not a tough challenge. With so many fundraising ideas available it can be tough to choose where to devote your efforts and your pennies. Our advice is to find the charity closest to your heart and the month you can devote whole heartedly. Whether you raise £1 or 1 Million, your efforts, your awareness and your pennies will all be spent well. Each month our team looks to work with worthy causes close to our heart and donate 20% of My Favourite Voucher Codes profits. Every time you shop with one of our voucher codes you are contributing to that monthly total and it doesn’t cost you a penny. Why not get in contact and nominate a charity important to you and you never know they could be in next month’s poll? With us doing the fundraising for you! Good luck with your charity fundraising ideas from all the My Favourite Voucher Codes Team!